Released: August 15, 2014. Directed by: Phillip Noyce. Starring: Brenton Thwaites, Jeff Bridges, Meryl Streep. Runtime: 97 min. Note: Sorry for the font inconsistencies – I really couldn’t figure out how to fix it. 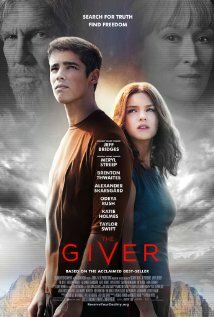 The Giver starts out exactly like Divergent; with a basic review of what this futuristic community is like, followed by a ceremony where occupations are chosen for each citizen at their 18th birthday (where those in the premise of Divergent were put into different groups of basic personality traits). The second similarity is a love story – which is interesting to think this was a thing in Young Adult literature circa 1993, so not much has changed – but it’s essential to the narrative. These similarities are where they begin and end. This is a unique young adult novel adaptation because it depicts a perfect world (a utopia, rather than a dreary dystopia in The Hunger Games), one with no violence, pain, suffering, differences or choice. A young man, Jonas (Brenton Thwaites in his first big starring role), is chosen as the Receiver, a position chosen every ten years or so – and it is a position in which he will become the future Giver – to assist the elders with making decisions for the community. You see, the Giver (a mesmerizing Jeff Bridges) has the most knowledge and experience in the whole community, because he holds all of the memories of the old world. The one with hideous violence, but also wondrous beauty. I think Brenton Thwaites’ (Oculus, Maleficent) performance is actually memorable because he is different from his peers and not absolutely robotic. He brings some humour to his character, and hope to his peers. Jeff Bridges as The Giver is great because of his love of life and his need to get beauty back to the community. He also brought a welcome amount of humour to his character, though I am almost convinced he’s still stuck in the voice he used for Rooster Cogburn in True Grit. A charming young Israeli actress Odeya Rush (The Odd Life of Timothy Green) portrays Fiona, and is also notable for how well she captures her character’s fear and natural curiosity for change. Taylor Swift portrays one of those characters who play a crucial role in a character’s development but only show up for five minutes. A scene she shares with Bridges and a piano is just lovely. I think these performers set themselves apart from the rest because everyone else just feels so plain. Especially Cameron Monaghan and Katie Holmes who are both quite boring. 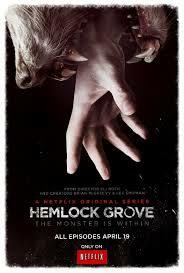 Alexander Skarsgård is still boring, but less so than the others. These characters, and every other cookie-cutter citizen, are all about never lying and using the precision of language – so for example, if you want to ask someone if they love you, you must ask instead if they “enjoy” you. At times I wondered if this is what the modern grammar Nazi sounds like. One enjoyable technical aspect is the utilization of black and white film – which is about half of the runtime, but the other half is in colour. You might notice as the film progresses that B&W and colour are used more and more as a storytelling device to set the film’s tone. Black and white scenes are more robotic and plain, while scenes in colour are usually captivating and intriguing. The more it got into the heart of the film, the more I found myself enjoying it – after a very boring first twenty minutes (though the final minutes left me dissatisfied). One more comment on the technical aspect – the cinematography is absolutely stunning, in both B&W and colour. The Giver is filmed in South Africa, where the settings and nature complement the film’s quality and beauty. It’s an ugly truth in this premise that in order to have no violence, one also has to surrender race, religion, uniqueness, decision-making, and emotions, among other things. This community is created by characters who focus on the hideousness of the old world, and want to shelter the citizens from it. This character – mostly the Chief Elder – is portrayed by an adequate Meryl Streep. However, the citizens are also being sheltered from the beauty of the world – namely colours, sunsets, and double rainbows. Robin Williams as John Keating in Dead Poets Society said, “…The human race is filled with passion… Poetry, beauty, romance, love, these are what we stay alive for.” That quote does not describe The Giver‘s community, even though it is considered a “perfect” community. Even though our world has violence, one can escape in the beauty of everything around you. It has poetry, romance, love, beauty – but most of all – creativity, and that sounds like the true perfection to me. Released: June 13, 2014. Directed by: Phil Lord and Christopher Miller. Starring: Jonah Hill, Channing Tatum, Ice Cube. Runtime: 112 min. 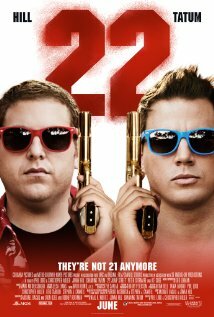 After seeing 21 Jump Street, a reboot of an 80s cop show featuring Johnny Depp, about seven times – it’s safe to say that I was quite excited for 22 Jump Street. Blending enough old and enough new to keep everyone satisfied, this is a great sequel, a satisfying film and just a great time at the movies. This starts out with Jenko (Channing Tatum) and Schmidt (Jonah Hill) going undercover at a local college to disrupt the widespread distribution of a new drug called WHYPHY. This stands for Work Hard, Yes; Play Hard, Yes. It gives users the ability to become super focused for four hours – perhaps to help them study – and then they party hard. Like the first one, they are tasked with finding the dealer and then finding the supplier. There are constant jokes that this investigation is exactly the same thing as the last one. They just have to do the same thing to bust the case wide open, and this cleverly sets our expectations from the get-go. Sometimes the exact same thing bit gets a bit tiresome by the cast mentioning it a bit too much, but it’s all very meta and it has the same clever, self-aware humour that the original possessed. And it also has some funny jokes about sequels this time around. It’s a great formula, too, because the first one was such a success because no one expected that much from it – but directors Phil Lord and Christopher Miller jumped on the map (after dabbling with animation, first with Cloudy with a Chance of Meatballs and then The LEGO Movie earlier this year) and surprised everyone. The film finds a great pace and comedic momentum to match that of the first. However, the sub-plots are a bit off. Jenko and Schmidt have a role reversal this time around, and a funny, textbook “bromance” is put in place, and it even has little aspects that mirror romantic movies, and it changes this to a bro-mantic movie. Anyway, about the sub-plots. In the first film, when Jenko was being left out of things, and Schmidt was in the heart of the investigation, the film still managed to make both partners’ different social groups have great chemistry with each other and get a few good laughs. This time, Schmidt’s social group, the more artsy poetic types, are mildly funny, but there’s not as much of a focus on them this time around. Instead, the focus is more on the social group that Jenko begins to hang out with: the dumb jocks, featuring a boring Wyatt Russell portraying a guy named Zook. There’s a big bromance focus between Jenko and him, and the character’s just not that great. This sub-plot doesn’t get a ton of laughs, and it makes the film have unfortunate derivative stretches, where Lord and Miller show that the only type of film they shouldn’t direct is a football movie. Another minor issue: There’s a tiring joke where people still comment on how old Hill and Tatum’s characters look. It’s funny when a pair of twins comment that Hill and Tatum have “crow’s feet,” because the twins actually look young. But when the actress whose schtick is saying that Hill looks like he’s 30 in a lot of different, sometimes funny one-liners, looks to be in her late-20’s herself, it just doesn’t have the same believable effect. In fact, the actress, Jillian Bell, is also thirty years old in real life, the same age as Hill’s character. That part of the humour just doesn’t work. There’s only one other occasion where my suspension of disbelief was stretched. It’s easier to forgive in dumb comedies, but with smart ones like this one, I can’t let it slide as easily. Don’t get me wrong, the film still truly works. It has dynamite stretches of hilarity, and a great comedic momentum. Hill and Tatum also have a stunning chemistry. It’s also enjoyable that Ice Cube gets deeper into the story, instead of being a bit too sidelined like the first one. The actor’s intense shtick works for the character, a lot more so than it did for his character in Ride Along. I loved this film because it let me leave satisfied, and it’s even greater to know that there are enough movie ideas to make this last longer than the Marvel franchise. Peter and Roman team up to catch the killer who is doing the crimes, and they think it’s a werewolf. Peter (a gypsy/werewolf – whose turning is like a snake that sheds its skin in its entirety, so perhaps that explains the show’s obsession with serpents) is somehow connected to the bad werewolf in dreams. We learn that it’s a vargulf, which is a mentally insane werewolf who kills people for the thrill; while a largulf, like Peter, who never goes out on a full moon on an empty stomach, only kills someone if provoked or attacked. Those terms are only what I think I heard, certain actors have awful pronunciation at times (at one point, when they say upyr, I heard elber). It makes sense why Peter wants to hunt for the killer, because he wants to clear his name as a rumoured suspect, but it’s never clear why Roman wants to help. It seems he’s angry, for some reason? Or maybe just bored? I can’t tell with his acting. He’s a weird character; at one point, when his sister is being interrogated by a pair of idiots who are asking why she killed the girls, he makes the two guys kiss each other. He likes to humiliate people; he’s just weird. Roman and Peter also share a dream, which doesn’t make sense, where Roman shouts at birds and they all fall down at the same time. (Birds wobble and sometimes they do fall down.) It feels insignificant at this point in time. They go to Peter’s cousin Destiny (a lovely Kaniehtiio Horn) for insight. With the average customer, she’s a gypsy con artist – and uses fake magic. There’s a pointless scene where a brother of a worker at the Godfrey Institute is angry that he lost his brother because of it. It adds some danger conspiracy to the Godfrey Institute, and it tries to show that Olivia (Famke Janssen) is feared by all. I don’t buy it. It’s such a weird scene. Anyway, a new character, Clementine, has been introduced. She’s a wildlife worker and she’s been brought into the local investigation of the murders. Christina describes her as a “Hannibal Lecter for animals.” Speaking of Christina; at the beginning of the episode, she discovers the body of a young woman in the middle of the woods. Despite all of the ongoing murders, she assumes it’s a prank corpse torn in half – so she imitates the Red Riding Hood fairy tale, and says “What pretty lips you have!” She kisses the corpse, maybe for the experience? “I kissed a corpse, just to try it!” Tina’s usually smart and observant, but not at this moment. Since Peter is somehow a prime suspect, Clem also pays him a visit – and calls him a hirsute (very hairy) young man, even though he’s not very hairy beard down. Apparently, a lot of hair is reason to believe that he’s a werewolf. Great logic. This meeting shows that Landon Liboiron (as Peter) is just awful when he’s being overly polite. This mildly boring show hasn’t amounted to much, there’s just a “That’s it?” feeling after every episode.